Ukrainian, German and Swedish experts will carry out a joint observation flight over Russian territory under the Open Skies Treaty this week, the acting head of the Russian Defense Ministry’s Nuclear Risk Reduction Center said. Zabello added that the flight would take place along an agreed route and Russian specialists on board of the aircraft would monitor compliance with the agreed parameters for the flight and the use of observation equipment. “From August 8 to 12, as part of the international Open Skies Treaty, a joint Ukraine-Germany-Sweden mission will perform an observation flight over the Russian territory on a Swedish Saab-340B observation aircraft,” Sergei Zabello said in a statement, published on the Russian Defense Ministry’s website on Monday. According to Zabello, the Saab-340B observation aircraft is not equipped with any types of weapons. The Treaty on Open Skies was signed in March 1992 and became one of the major confidence-building measures in Europe after the Cold War. It entered into force on January 1, 2002, and currently has 34 states parties, including Russia and most NATO members. A US aircraft carrying out an observation flight over Russia was forced to make an emergency landing at Khabarovsk’s airport due to an apparent landing gear malfunction. The aircraft took off from Ulan-Ude, a city to the east of Lake Baikal, and was heading to the Russian city of Yakutsk. However, one of the plane’s landing gears had apparently malfunctioned and failed to retract after takeoff, so the crew decided to make a forced landing in Khabarovsk, RIA Novosti reports.The Khabarovsk airport administration also confirmed that an aircraft with a stuck landing gear made an unscheduled landing there. “A foreign aircraft made a forced landing in Khabarovsk. All emergency ground services have arrived on site. The flight landed safely at 3 P.M. local time,” airport officials said. 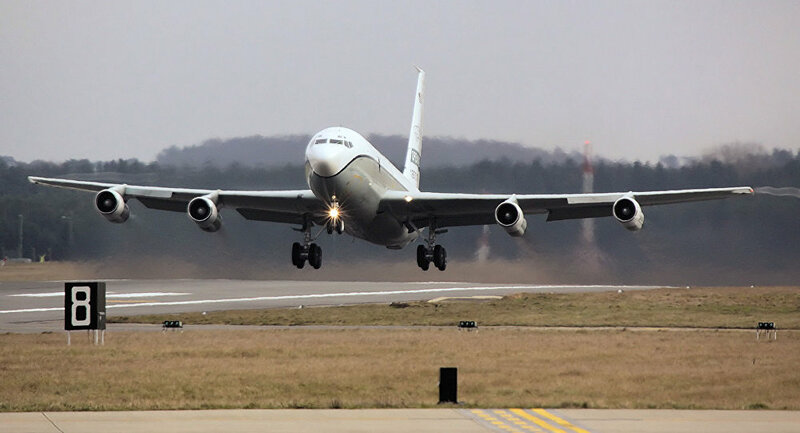 Earlier, Russian Defense Ministry Nuclear Risk Reduction Center officials announced that a US Boeing OC-135B aircraft would conduct an observation flight over Russian territory between July 25 and 30. The Treaty on Open Skies was signed in March 1992 and became one of the major confidence-building measures in Europe after the Cold War. It entered into force on January 1, 2002; 34 states are currently party to the treaty, including Russia and most NATO members. 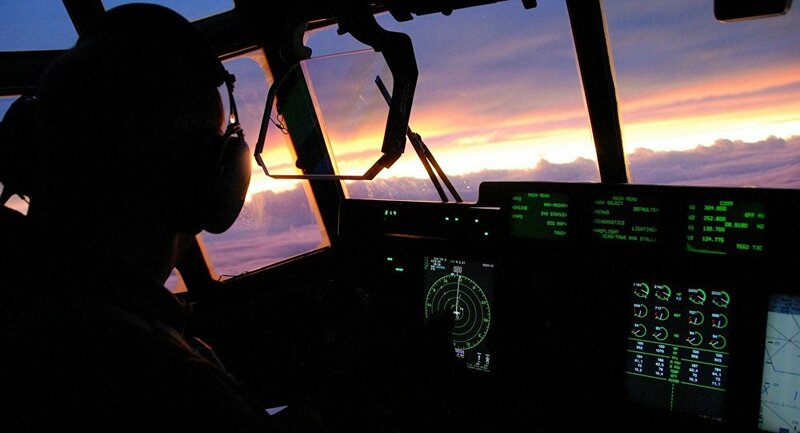 The treaty establishes an unarmed aerial surveillance program whereby signatory states may conduct flights over the entire territory of fellow participants. This week, American and Ukrainian pilots began a joint observation flight over Russian territory under the Treaty on Open Skies. Speaking to one of Russia’s leading independent online news and analysis portals, military analyst Yuri Kotov explained what Russia stands to gain by adhering to the treaty. 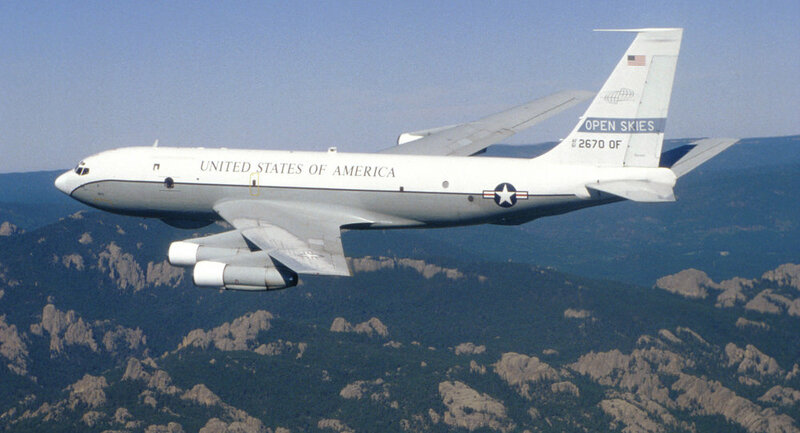 On Monday, Russian Defense Ministry Nuclear Risk Reduction Center head Sergei Ryzhkov told reporters that a joint US-Ukrainian mission would be performing a flight over Russian territory in a US Boeing OC-135B observation aircraft from July 18 to 23. In response, Russian observers are flying over German territory in an Antonov An-30B aerial reconnaissance aircraft between July 18 and 22. The specially-equipped observation planes, neither fitted with onboard weaponry, have passed the necessary certification according to the 1992 treaty. Russian specialists will be present onboard the American plane, with German specialists onboard the Russian aircraft. This setup is aimed at ensuring strict control over the use of surveillance equipment, Kotov explained.The Treaty on Open Skies was signed in March 1992, becoming one of the major confidence-building measures in Europe following the Cold War. Entering into force on January 1, 2002, the treaty is observed by 34 states, including Russia and most members of the North Atlantic Alliance. A Boeing OC-135B Open Skies aircraft – the type used in this week’s US-Ukrainian overflight over Russia. Speaking to the newspaper, Yuri Knutov, military analyst and director of the Air Defenses Forces Museum outside Moscow, explained what the treaty was about, and exactly what Russia stands to gain from continuing to honor the treaty. What’s more, the analyst explained that for Moscow, participation in the Treaty on Open Skies is necessary more from the perspective of international law, not the treaty’s military implications. Effectively, Knutov noted, “when these flights are carried out, it’s a good thing. It was a bad thing when Turkey, for example, prohibits us from doing so.” In February, at the height of Russian-Turkish tensions, Ankara refused to grant Moscow permission for an observation flight over the Turkish-Syrian border, a direct violation of the treaty. Therefore, the analyst suggested that the present crisis in NATO-Russia relations is all the more reason to continue the overflights. Following the NATO summit in Warsaw earlier this month, the alliance agreed to the deployment of four battalions in Poland and the Baltic states. Before that, NATO carried out a series of mass exercises across Eastern Europe, which also saw the transfer of heavy equipment, including armored vehicles, tanks and artillery, to the region. At the same time, Knutov recalled, US Defense Secretary Ash Carter issued a directive recently on the creation of a 40,000-strong rapid deployment force, capable of deploying anywhere in Europe within 48 hours. “Now imagine these 40,000 troops being moved to those areas where military equipment has already been deployed,” the expert commented. Ultimately, Knutov noted, so long as Russian observers do not face any limitations regarding which countries they fly to, and which flight paths they allowed to observe, it will remain beneficial for Russia to observe the treaty.Asked whether Ukraine, which has repeatedly made outlandish claims about Russian troops fighting in the country’s war-torn region of Donbass, will finally be made to feel at ease following the joint US-Ukrainian flight, the analyst said it was doubtful, since Kiev’s rhetoric has always been made with political purposes in mind. Turkish and Italian experts will carry out a joint observation flight over Russia’s territory under the Open Skies Treaty this week, the head of the Russian Defense Ministry’s Nuclear Risk Reduction Center said. According to Ryzhkov, Russia in its turn is expected to carry out an observation flight over the Norwegian territory in the same time period. This will be Russia’s 21st observation flight over foreign territory in 2016, he added. “From July 11 to 15, as part of the international Open Skies Treaty, a joint Turkish-Italian mission will perform an observation flight over the territory of the Russian Federation in a Turkish observation aircraft CN-235,” Sergei Ryzhkov said. Еhe head of the Russian Defense Ministry’s Nuclear Risk Reduction Center said that the United States and Canada will carry out an observation flight over Russia’s territory under the Open Skies Treaty. The United States and Canada will carry out an observation flight over Russia’s territory under the Open Skies Treaty, the head of the Russian Defense Ministry’s Nuclear Risk Reduction Center said Monday. 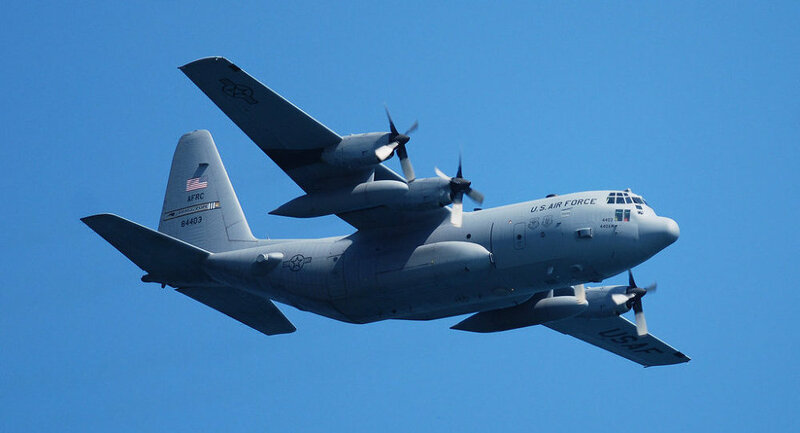 “From July 4 until July 9, in the frameworks of the Open Skies Treaty, joint mission of the United States and Canada will hold an observation flight of the Canadian C-130 observation aircraft over Russia’s territory,” Sergei Ryzhkov said. According to Ryzhkov, the aircraft will take off from the Tiksi airport in the Russian region of Yakutia. Ryzhkov also noted that Russian specialists on board of the aircraft would monitor compliance with the agreed parameters for the flight and the use of observation equipment. In reality, Defense Department just forgot to make an appropriations request for digital sensors. In 1957, the Soviet Union launched Sputnik, the first man made object to orbit the Earth, which left President Dwight Eisenhower, a fierce opponent of the military-industrial complex a stark choice – he could accept the Kremlin’s right to traverse space above the US or he could combat the move by launching a military strike. Eisenhower wisely chose the former and refused to engage in space warfare with the Soviets. Instead, the US President astutely called for a more cautious and productive action, in the form of reciprocity in transparency and intelligence gathering as a check against future conflict. It was on that basis that Eisenhower proposed an “Open Skies” agreement for cooperative aerial observation flights. Eisenhower faced pressure internally and externally. Historians say that Eisenhower’s senior military advisers were furious at his acceptance of the Soviet’s surveillance capabilities over US airspace. Furthermore, his proposal for reciprocity with the Kremlin was rejected out of hand, as they realized that the US had more to gain by grasping a glimpse into their closed society. The idea of openness and reciprocity in military surveillance remained dormant for another 30 years until, in the late 1980s, Mikhail Gorbachev proposed the glasnost (openness) reforms. Gorbachev permitted foreign observers at Soviet military exercises and accepted Ronald Reagan’s disarmament challenge – “trust but verify” – in accepting invasive missile system inspections by international officials. It was in that context, in the late 1980s, that President George H.W. Bush revived Eisenhower’s Open Skies proposal. President Gorbachev supported negotiations on this effort. Over a decade later, in 2002, the Open Skies Treaty was ratified, and, shortly after, cooperative aerial observation flights began between Russia and the US, two previous Cold War adversaries. As the world descends into a potential second Cold War, however, the narrative surrounding the Open Skies Treaty has changed dramatically. In the past year, the Pentagon and NATO have both classified what they term as expansionism and aggression by Russia as the preeminent threat to world safety and security. Nonetheless, tensions continue to mount between East and West with the US military, along with NATO, ramping up its presence along the Russian border in Norway and a 400% increase in Eastern Europe military expenditures approved by the US Congress. The Open Skies Treaty not only requires agreement on flight paths among all signatories but also calls for inspection of surveillance planes to prevent the use of high-intensity cameras, requires sensors designed solely for uncovering illicit missile and weapons facilities, and all data collected is instantly shared with all signatories. The treaty is truly limited to cooperation and transparency. Why does the US object to the treaty, which serves a vital international imperative that Ronald Reagan once called for – “trust but verify” – and is the brainchild of President Dwight Eisenhower? Ankara has violated the Open Skies Treaty by not allowing Russian inspectors to conduct a scheduled inspection flight over the Turkish territory, a move that Moscow will not leave without proper response, the Russian Defense Ministry said Wednesday. MOSCOW (Sputnik) — Russian inspectors were scheduled to perform an observation flight on board the An-30B plane over the Turkish territory within the framework of the Open Skies Treaty on February 1-5. “The itinerary included the observation of areas adjacent to the Turkish border with Syria, as well as airfields that host NATO warplanes. However, after the arrival of the Russian mission to Turkey and the announcement of the desired itinerary, the Turkish military officials refused to allow the inspection flight citing an order from the Turkish Foreign Ministry,” head of the ministry’s National Nuclear Risk Reduction Center Sergey Ryzhkov said in a statement. Ryzhkov called the Turkish move “a dangerous precedent of uncontrolled military activity carried out by a member of the Open Skies Treaty. “We are not going to leave this violation of the treaty by Turkey without proper attention and adequate response,” the official stressed.